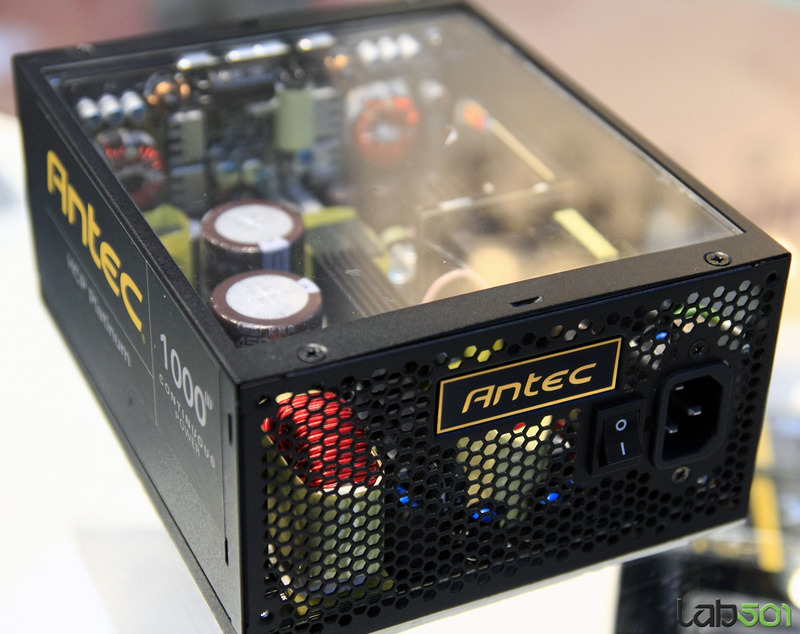 ANTEC has showcased its latest HCP-1000W Platinum Series PSU which offers upto 94% Power Efficiency (80+ Gold Rated) and a fully modular cable design. The power supply was made by Delta Electronics OEM, Similar is the case with other HCP series PSU’s. 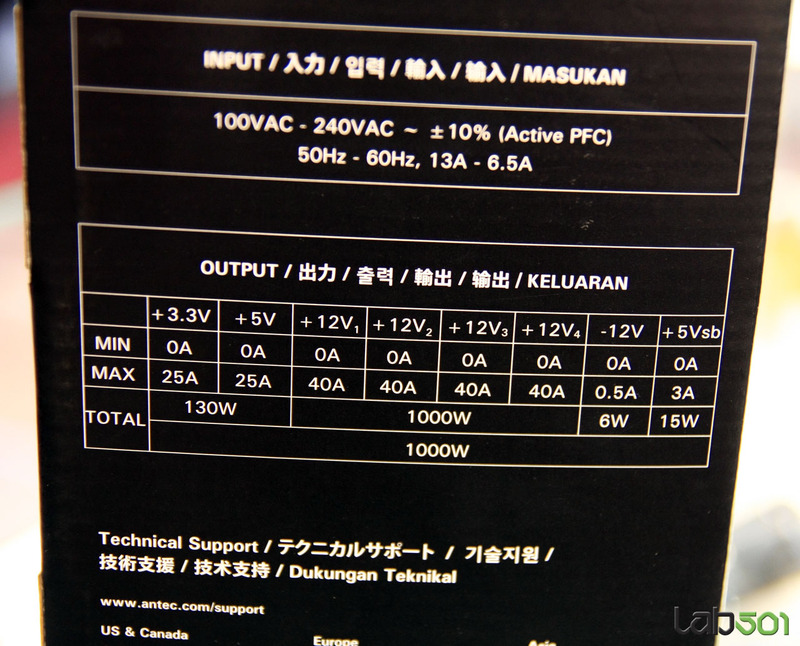 The PSU can offer 1000W Continous. 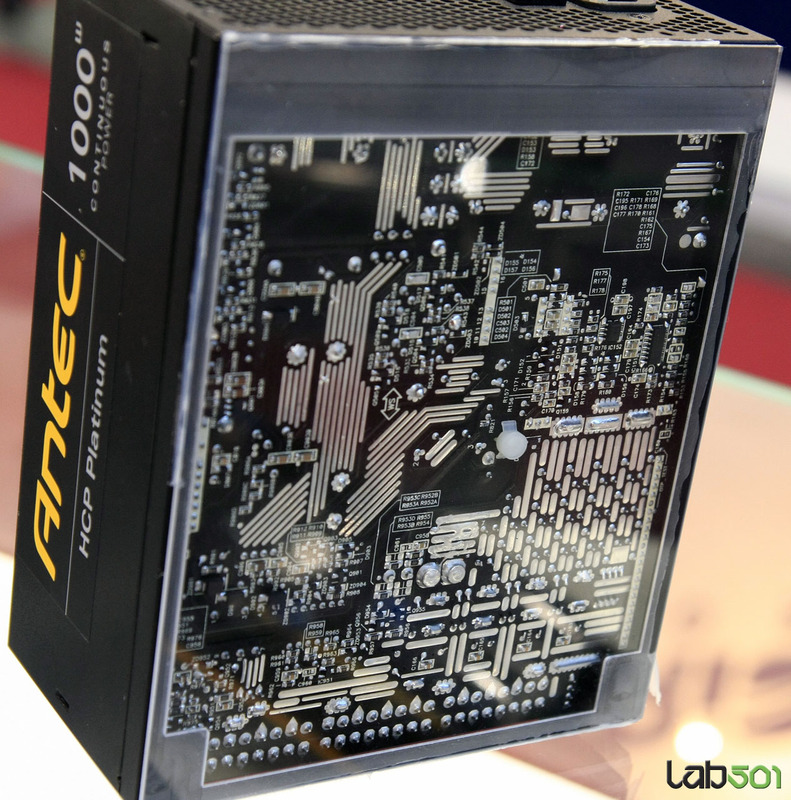 Being a display unit, ANtec equipped the arcylic windows on both sides of the PSU, Retail version would have a 135mm fan. Features quad-12V rail design, with four 40A rails and includes 24-pin ATX and dual 8-pin which can easily allow support of Quad Way GPU’s. 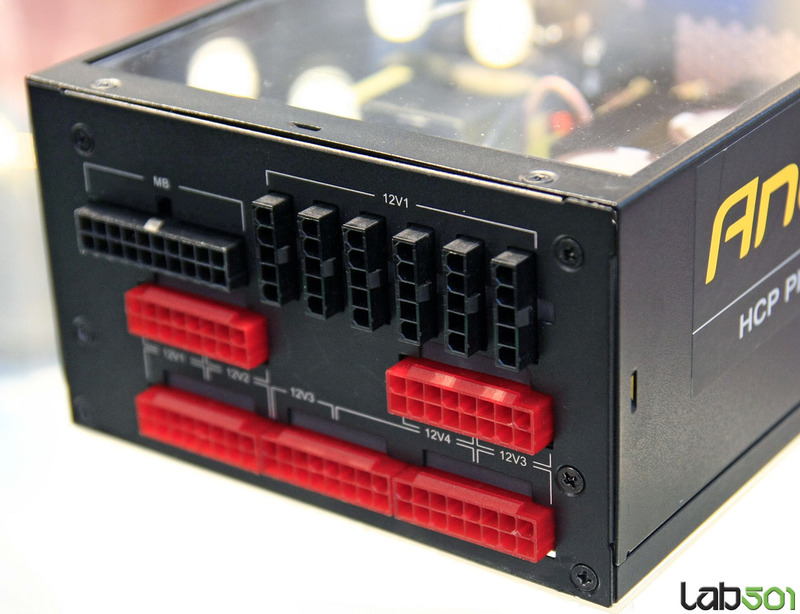 ANTEC would also add the OC-Link in the package that can allow connectivity with another unit, A nice feature for overclockers.